I see you, I am here. To be recognized, to be noticed. It means we are not alone. I see you, I am here. To be recognized, to be noticed. It means we are not alone. As far back as we can trace human history, women and men want to know they belong, that they have value, that they are seen. Don’t we all want to stand up sometimes and shout “I am here”? Notice me, recognize me for who I am. I am a man. I am a woman. I am here. 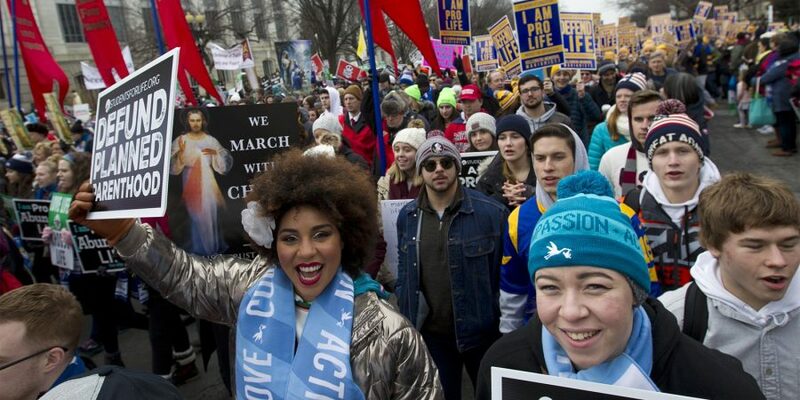 That’s what the March for Life, the annual pro-life rally on the National Mall, is all about: that all be seen, recognized, noticed, and that all belong to our crazy and wonderful human family. All of us created in the image of God (“Male and female he created them and saw that it was very good”). All of us created in the image of God, from the baby in the womb to the dementia patient taking a last breath. That includes politicians debating what’s best for the common good. It includes the homeless person on the sidewalk and the philanthropist setting up a foundation to help people. I see you, I am here. Black, white, brown, straight, gay, trans, Republican, Democrat, independent. Tall, short, big, small, educated, illiterate. Refugee. Migrant. Stranger. I see you, I am here. It also includes teenagers looking to make a difference in our world, like the Covington Catholic High School students who have been so much in the news this week. 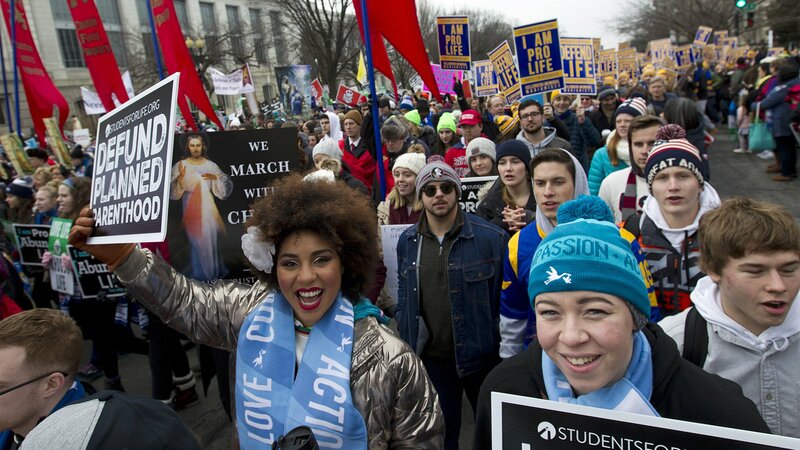 Their teachers must have hoped that the March for Life would be an opportunity for these young men to get beyond their school environment to learn to balance social and political points of view, to see others and be seen, to participate in discourse that leads, if not to agreement, then to mutual respect and a desire for reconciliation. At least that was likely the plan. Instead, as the march ended, the students from Covington found themselves in an awkward moment with an Omaha Nation elder and a group identifying itself as black Hebrew Israelites. I wasn’t there and have only the news reports. I do know that these awkward moments create a tension that too often leads to violence, so I’m grateful there was no physical violence. But we always do violence when we do not recognize each other as other selves. 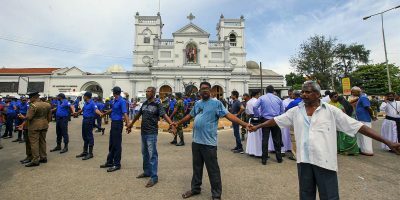 As a Catholic educator, I find myself wondering whether the students were unprepared: Did they not know that the mall that day would be buzzing with countermessages from women’s rights groups, as well as unrelated demonstrations and protests going on at what has become our nation’s semiofficial public square? Did their chaperones not counsel them on how to deal with confrontation? Or were they perhaps too prepared for confrontation – did they don their MAGA caps purposely to provoke others? Did they think they had sanction to take a divisive stance? These questions lead me to wonder where their chaperones were. In the photos I’ve seen, the Omaha Nation elder and the Hebrew Israelites seem to be the only adults present. The upshot of Catholic schooling is for our young people to be alert to the context and experience of the culture around them, reflect on that context and experience, and then respond in a way that, over time, will help them match their talents to the needs of their times. 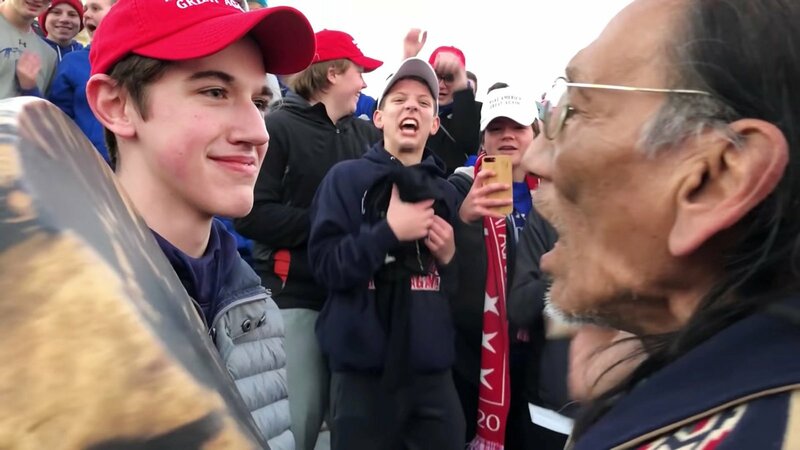 The Covington students certainly had a cultural experience. I sure hope the faculty at Covington will now sit with them and listen to what they experienced and ask them what they might have done differently. We should all take a lesson from this episode, students and adults. We need to ask how we model good human behavior. Can we see ourselves in the other? Can we treat the other as myself? Racial insensitivity, intolerance and hatred are threads woven through our American history, but those threads seem woven more tightly the last couple of years. Reprinted from Religion News Service (https://religionnews.com).